If you want to start a tutoring business there are many places from which you could look to recruit your first students; one such arena is that of the Home Schooled Student. As you start a tutoring business, in the early hungry days you will probably need to look for customers anywhere you can, but as you grow or want to specialize from the outset, consider the growing market of Home Schooled Students. 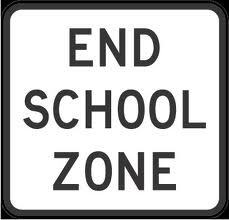 I have found it hard to pinpoint the exact number of home schooled students in the USA at this time. The last official statistics I have found are between 1.1 and 1.5 million kids in 2007. [scource: Institute of Education Sciences] and 2 million in 2011 [source:HSLDA]. I would imagine it is higher as not all students will be reported. The reasons that parents choose to home school are myriad and adapting your resume, marketing and tutoring to the reasoning behind the parental decisions will be key when you come to cut your slice of this pie. A 2001 Study by the US Census Bureau (additional information on conservapedia) discovered that the single largest reason to home school was providing a better education at home than within a traditional school; referred to as a ‘brick & mortar’ school. This apparent dissatisfaction with the public school system can only have grown in the time since this study as more and more parents lament the ‘teaching to the test’ environment and the narrowing of the school syllabus. Add to this the growing ‘anti-vaccine’ movement and religious or moral instruction and home schooling is a growing market. Parents no matter how qualified will be unable to instruct their children in every subject to the desired level and this is where many teachers, themselves dissatisfied with the way public education is shaping up, have decided to start a tutoring business to step in and cover the topics the parents feel unable or unqualified to tackle themselves. In fact in 2006 The New York Times ran a story featuring parents who chose to home school and not act as instructor at all, hiring tutors to cover the entire curriculum in what they closely hinted as being a return to elitist Victorian Education. But taking a 180 turn away from any form of elitism is the student who works for a living, or is in training for a particular sport or endeavor. Film studios, television companies all hire tutors to instruct students who are unable, due to their current or future career, to attend a traditional school. In some communities families choose to group together to teach or attend workshops and field trips. Use the internet to research the home schooling requirements in your state and local school district and find all the points of contact for local home schoolers, then start the legwork. But remember, be the best, as that is what these parents want for their children and they are, for whatever reason, in a position to ensure it happens. 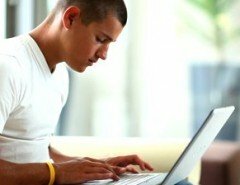 If you have experience tutoring home schoolers or wish to share ideas on how to start a tutoring business, please use the comments section below. Software to manage your tutoring business should be in place before your first customer comes through the door. Oases Online is the complete tutoring management package. 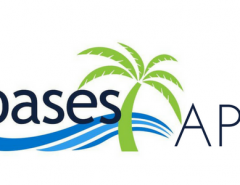 Check out the Features & Benefits of Oases Online.Check out the Features & Benefits of Oases Online. Previous Article If you need a reason, July 2012. Monthly promotional ideas for your Tutoring Business.